The Sanzen-in Temple in Ohara has 3 ancient statues of Amida Nyorai, Kannon and Fudo Myoo. The Sanzen-in Temple in Ohara has 3 ancient statues of Amida Nyorai, Kannon and Fudo Myoo. 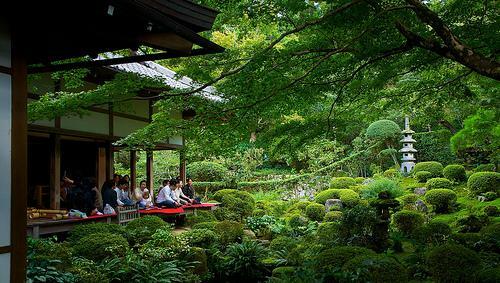 It is surrounded by tranquil greenery, with a lovely moss garden and a variety of Buddhist stone statues.